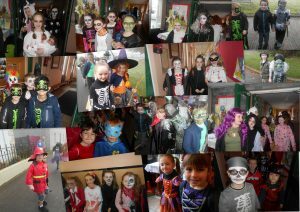 On 27th Oct. 2017 we had our annual Hallowe’en dress up and parade. 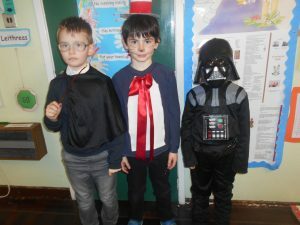 The children looked spectacular in their colourful scary outfits. 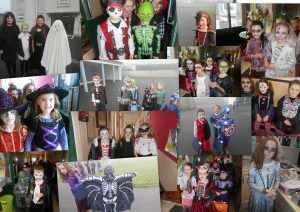 A big thank you to the parents who helped organise their children’s outfits. We had a lovely bright dry day for our parade down the town and traffic came to a standstill to enjoy the spectacle we made. Thank you to the P.A. who helped with the stewarding and who also had treats for all the children on their return to the school.